May 2004 : Although Brad is married to Jennifer Aniston at the time, rumours of an on-set romance swirl after Pitt and Angelina Jolie start filming Mr & Mrs Smith. March 2005 : Jennifer files for divorce citing 'irreconcilable differences' as speculation about Brad and Angelina's romance continued. April 2005 : Brad and Angelina's relationship is confirmed after paparazzi photographs of them on holiday in Kenya with her son Maddox surfaced. They have yet to speak publicly about it. July 2005 : Jennifer is reportedly left heartbroken when Brad and Angelina take part in a revealing photoshoot for W magazine entitled Domestic Bliss. The photo essay shows them as a couple with children. 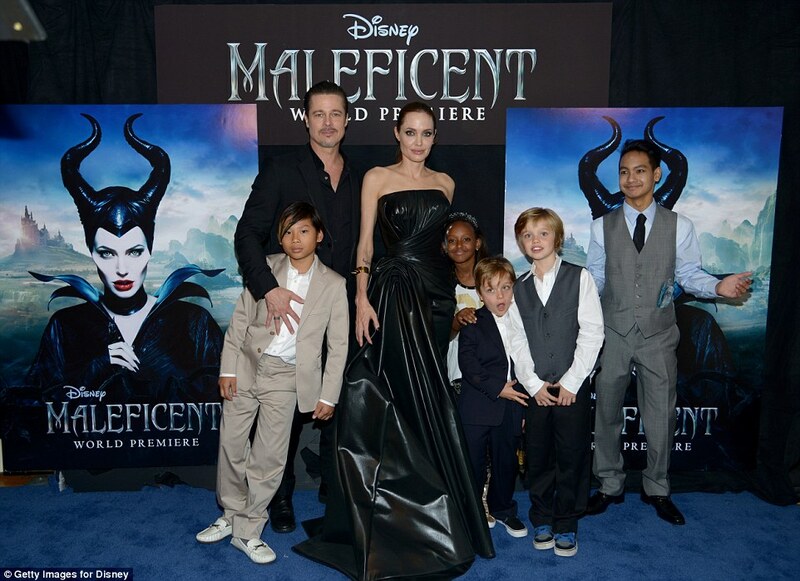 Later that month Angelina adopts her second child, daughter Zahara, from Ethiopia. September 2005 : Jennifer slams Brad as having a 'sensitivity chip missing' following the W photo shoot, which he brainstormed. October 2005 : Brad and Aniston's divorce is finalized. 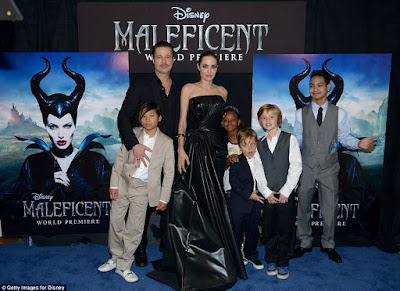 January 2006 : Angelina and Brad announce she is pregnant with their first child while Brad applies to formally adopt her children Maddox and Zahara. May 2006 : The couple's first biological child Shiloh Nouvel Jolie-Pitt born in Swakopmund, Namibia. March 2007 : Jolie adopts three-year-old Pax Thien from Vietnam. May 2008 : At the Cannes Film Festival, Angelina confirms she is expecting twins. Knox Leon and Vivienne Marcheline are born in July. 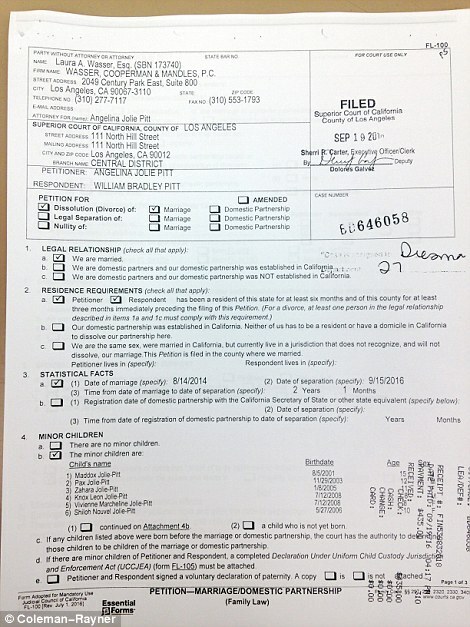 December 2011/January 2012 : The couple admit in separate interviews that the children are encouraging them to marry. While they had planned to wait until gay marriage was legal, they reveal the pressure from the children is strong. April 2012 : Brad and Angelina reveal their engagement. February 2013 : Angelina has a secret double mastectomy after discovering she had a defective BRCA-1 gene that put her at high risk of developing breast and ovarian cancers. She tells the world about it in a New York Times Op Ed in May. July 2014 : It is announced that Brad and Angelina will reunite on the big screen for the first time since Mr & Mrs Smith. Jolie will write and direct – the 'intimate, character-driven drama' By the Sea. 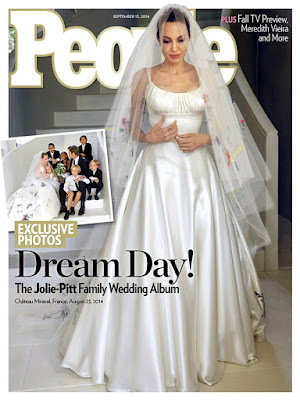 August 2014 : The couple tie the knot in a secret ceremony at Chateau Miraval in France and after a short family honeymoon in Nice, the Jolie-Pitts head to Malta to start shooting By The Sea. 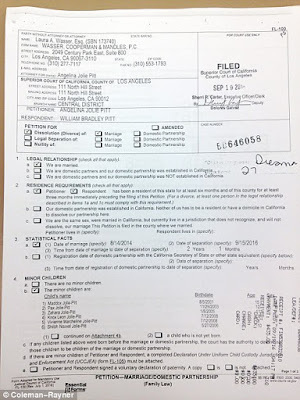 September 2016 : Angelina files for divorce citing irreconcilable differences.